1:6 The common idea that Satan in Job was a sinful cosmic being who brought evil upon Job against God’s will and tried to make him sin is wrong. “Satan” is only mentioned in the first two chapters of Job and nowhere in the book is he defined as a fallen angel. The word means ‘adversary’ and of itself has no negative connotation; it can be used about good people (Mt. 16:21-23). “Sons of God” can refer to believers (Rom. 8:14; 2 Cor. 6:17-18; 1 Jn. 3:7). Angels do not bring false accusations against believers “before the Lord” (2 Pet. 2:11). It cannot be conclusively proved that Satan was a son of God - he “came among them”. Satan is described as “going to and fro in the earth”. There is no implication that he was doing anything sinful. Zechariah 1:11 implies that this is a Hebraism for observing. How can Satan be in heaven and also on the earth in Job’s time when, according to popular belief, he was thrown out at the time of Adam, or in 1914, according to the “Watchtower”? There cannot be sin or rebellion against God in heaven (Ps. 5:4-5; Hab. 1:13; Mt. 6:10; Ps. 103:19-21); Angels don’t sin (Lk. 20:35,36 cp. Rom. 6:23). The major theme of the book of Job is that God brought the problems into Job’s life and that eventually they made him a more righteous person (Job 2:10; 16:11; 19:21; 23:16; 42:11). Job did not believe that only good things came from God; he nowhere complains about Satan bringing the problems. Job realized that his sufferings had made him come to know God in practice rather than just in theory (42:5). Seeing that problems make us more righteous people if we respond correctly to them (Heb. 12:5-11), why would a sinful, wicked being, who wants to turn us away from God, bring these things into our lives, when actually they only make us more righteous and closer to God? The fact that Satan and the sons of God were in “the presence of the Lord” and presented themselves “before the Lord” (2:7; 1:6) does not necessarily mean that they were in heaven. The representatives of God carry the name of God, e.g. the angel which led Israel through the wilderness was called “the Lord” because it carried God’s name (Ex. 23:20-21), but it was not God himself in person (Ex. 33:12,20). Similarly, priests represent God (2 Chron. 19:6) and to come before them was to come “before the Lord” (Dt. 19:17). Cain “went out from the presence of the Lord” (Gen. 4:16) - not out of heaven but probably away from the presence of the angel - cherubim. Jesus was presented as a baby “before the Lord” (Lk. 2:22)- i.e. before the priest. Satan had to get power from God (2:3-6); he had none in his own right, indeed, God brought Job to Satan’s notice (1:8). Job often comments about God being the source of his sufferings (9:24). Job didn’t believe anyone apart from God was responsible. There is no indication that anything Satan did was sinful. Satan never actually says or does anything wrong; he simply makes the observation that there may well be a relationship between Job's service of God and the material blessing which God has given him. He is then empowered by God to bring calamities into Job's life. Time and again is it stressed, that God brought the problems upon Job, not satan independently (1:12,16; 2:3,10; 6:4; 8:4; 19:21; 42:18). Even if the “satan” (adversary) to Job was an angel, there is no reason to think it was sinful. An angel asked Abraham to offer Isaac to find out exactly how obedient Abraham would be (Gen. 22:12; see too Dt. 8:2).An evidently righteous angel was called a “satan” in Numbers 22:22. If we follow through the argument of the book, the logical answer of Job to the friends' allegations would have been "I'm suffering because Satan has it in for me! He's doing this, not God!". For the friends were reasoning that God was bringing such affliction into Job's life because Job was a sinner. The fact Job doesn't make this obvious retort indicates that "the Satan" wasn't understood by either Job nor the friends as a personal supernatural being of evil. The “sons of God” - the believers at that time - presented themselves before a priest or angel, perhaps at a religious feast. Someone there, maybe one of the worshippers, reflected that it was not surprising that Job was such a strong believer, seeing that God had so richly blessed him. God gave that person the power to afflict Job, to demonstrate that Job’s love of God was not proportionate to the blessings God had given him. Maybe the Satan was composed of Job’s three “friends” - they are rebuked at the end of the book (notice that “satan” is not rebuked here by name). Their discussions with Job indicate that they had their doubts as to his integrity and suspected that his faith was now weak because God had taken away the blessings from him (4:5,7). The prologue to Job is a literary device to place theological problems before us, e.g. of the relationship between service of God and receipt of blessing, and sin and suffering. The friends insist that "the destroyer" [by which they surely meant an early equivalent to 'the devil' of popular belief today] had touched Job- whereas Job insists that it is God who had destroyed him (15:21 cp. 19:10; 13:21). In some ways the book of Job is a deconstruction of the popular Persian and Canaanite myths about a 'satan' figure. Job, both in the story of his sufferings and his specific words, seeks to demonstrate that the essential issues in life is being "just with God", and not whether or not we are touched by the hand of an evil being; for the hand of God which touched Job (19:21) is the hand of 'satan' into whom God delivered Job temporarily (Job 1:12). Job says that the attitude of the friends is wrong- they should be looking into themselves, rather than fantasizing about the action of some unseen evil being they imagined (19:28,29). The book of Job is a dialogue concerning evil and suffering, with three popular views being represented by the three friends. These views are examined and corrected by the personal history of Job, as well as by the epilogue and prologue to the book. Eliphaz seems to be representative of the idea that Job is being hit by supernaturally controlled evil- Eliphaz speaks of a force of darkness (22:10,11) and sinful or faulty Angels living in an unclean Heaven (4:18; 15:15). Yet the answer to all this is that the Satan figure is under God's control, all Job's misfortunes come from God and His Angels- one of whom may have been called 'the adversary' ('Satan')- are in fact perfectly obedient to Him and not disobedient. And finally, Eliphaz and the friends are rebuked for their various wrong understandings, with God declaring Himself supreme and ultimate sovereign. Bildad's view of Angels in 25:5 "The stars are not pure in God's eyes" is corrected by God in Job 38:7, when He says that "the morning stars sang together and all the Sons of God shouted for joy". 2:3 To ruin him without cause- Clearly enough we learn here that God can bring suffering into the lives of His children for reasons other than because they have sinned. There is no direct relationship between sin and suffering in this life; for the wicked often prosper. The day of judgment and reward for how life has been lived is ultimately at the final day of judgment when Christ returns. As Job struggles with the question of ‘Why suffering?’, he is progressively driven to a clearer understanding of the future day of judgment and resurrection of the dead to get their reward which God’s justice requires. Thus he was driven by experience and reflection on life to the doctrinal truths which are made explicit in the New Testament. Job begins the book presented as a complete spiritual person and he ends the book presented the same way. The reason for suffering isn’t always so that we personally may develop through it; in Job’s case, it was so that others would learn principles, not least the friends and the ‘satan’ character, and us the readers of subsequent generations. Some experiences and sufferings we have are perhaps more for the benefit of others who are observing, rather than for our own development. 3:3 Job’s depressive lament and desire to die in this chapter is quoted and alluded to by Jeremiah when he too was in severe depression and struggling with suicidal tendencies (Jer. 15:10; 20:14). Depression happens to God’s people; one simple lesson from all this is that depression itself isn’t a sin. It’s how we respond to it which can become a moral issue. Jeremiah’s way of coping was to associate himself with the words of a depressed faithful believer like Job. Our familiarity with Bible characters will pay great dividends in our hard times, as we see that history- spiritual history, God’s patterns of working with men- is repeating; and the sense of existential loneliness, utter aloneness, which is part of the nexus of depression will to some extent be alleviated. Note too that Job’s suicidal tendencies here and bitterness that God wouldn’t take away his life are not criticized by God; He comments at the end that Job spoke what was right (42:7,8). Yet Job says many hard things about God as the story proceeds; but by grace, God imputed righteousness to him; or made allowance for the pressures upon Job. This isn’t to justify any kind of situational ethic- ‘I did it because the situation forced me to and I had no choice’. Rather does it simply show God’s compassionate, gracious appreciation of situational pressure; and we should bear the same in mind in our consideration of others’ words and behaviour under pressure. 3:23 There are many connections between Isaiah 40 and the book of Job are especially marked. Is. 40:14 = Job 21:22; 40:17 = 6:18; 40:22 = 9:8; 40:23 = 12:21; 40:24 = 14:8; 40:26 = 25:3; 40:31 = 29:20. The link between Is.40:27 and Job 3:23 is most significant: "Why do you say, O Jacob, and speak, O Israel, My way is hid from the Lord, and my judgement is passed over from my God?". These are the words of Job here. Thus Job is the prototype of the suffering servant and represents Israel. Israel in captivity in Babylon (which is the context of Isaiah 40) are being bid look to Job, whose family and home were also destroyed by the Chaldeans (1:17) because of their sin. As Job sat in grief and perplexity, so did Judah by the rivers of Babylon. The message of the book of Job to the faithful remnant in captivity was therefore that God had ultimately brought this calamity, and finally He would restore the fortunes of His people. We too in our exiles can see in Job the essence of our own pain, and thereby the sure, ultimate hope of restoration. See on 4:7; 5:14; 21:7; 30:26; 33:27. 4:7 Whoever perished, being innocent- The friends were reasoning from the position that suffering only comes as a punishment for sin; and therefore, they concluded, Job must have been a huge secret sinner. Therefore they laid false guilt upon him, and urged him to repent for things he hadn’t done. We too live in a world which often loads us with false guilt. We must take guilt for our actual sins, and allow the reality of our personal relationship with God to free us from the false guilt others wish to place upon us. The righteous remnant in exile had struggled with the question of how the righteous had perished in the Babylonian invasion (Is. 57:1), and the book of Job was an answer to their struggle over this (see on 3:23). 4:8 According to what I have seen- Eliphaz appeals to personal experience and secular history and wisdom- hence he asks Job to “remember”, to think back and realize, that only the wicked perish (:7). One theme of the book of Job is that God’s ways, as revealed in His word and in His history, contradict human wisdom and traditional conclusions. 4:18 He charges His angels with folly- These are Eliphaz’s words, and God at the end says that he didn’t speak what was right about God (42:7,8). There cannot be sin or rebellion against God in heaven (Ps. 5:4-5; Hab. 1:13; Mt. 6:10; Ps. 103:19-21); Angels don’t sin (Lk. 20:35,36 cp. Rom. 6:23). The book of Job actually deconstructs such notions, revealing God as the ultimate source of suffering. 5:4 His children are far from safety- The friends often allude to Job’s situation in describing the fate of the wicked. They assumed that because Job’s children had been killed, therefore he was wicked. This kind of indirect hitting on a person is very hurtful; when we experience it, we can think of Job. 5:7 The sons of Resheph- Significantly, it is the friends who make allusion to the ‘Satan’ figures and gods as if they are real, whereas Job in his responses always denies their reality and sees God as the direct source of His sufferings. Eliphaz here blames Job’s troubles upon the “sons of Resheph”; Bildad speaks of how Job’s troubles are to be associated with “the king of terrors” (18:14); but Job’s response is that the source of the evil in his life is ultimately from God and not any such being. Resheph was known as "the lord of the arrow" and the Ugaritic tablets associate him with archery. Job's response is that "The arrows of the Almighty are in me" (6:4), and he laments that God is an archer using him as His target for practice (7:20; 16:12,13). Job refuses to accept Eliphaz's explanation that Job is a victim of Resheph's arrows. For Job, if God is "the Almighty" then there is no space left for Resheph. Each blow he received, each arrow strike, was from God and not Resheph. 5:12,13 The New Testament references to Job suggest that he was seen as a symbol of the Jewish system of reliance on human status, self righteousness and works, which all has to be humbled and no longer trusted if we accept God’s grace. Thus Paul quotes these verses in 1 Cor. 1:19: "For it is written, I will destroy the wisdom of the wise, and bring to nothing the understanding of the prudent". Eliphaz is explaining why he thinks Job and his view of life have been brought to nothing. Thus Paul read Job as a type of those who were influenced by the pseudo-wisdom of the Judaizers. Paul continues: "Where is the wise? where is the scribe? where is the disputer of this world?" (1 Cor.1:20). Job's constant desire to dispute with God and the friends, and the claims both he and they made to possessing wisdom, show Job was clearly in Paul's mind. "Has not God made foolish the wisdom of the world?" he concludes, maybe thinking of the humbled Job. Job was the greatest of the men of the east (1:3), people who were renowned in the ancient world for their wisdom (Mt.2:1; 1 Kings 4:30). Thus Job would have been full of worldly wisdom, and this is maybe behind Paul's words of 1 Cor.3:18,19: "If any man among you seems to be wise in this world, let him become a fool, that he may be wise. For the wisdom of this world is foolishness with God. For it is written [quoting Job 5:13, which is Eliphaz speaking about Job], He takes the wise in their own craftiness". 5:14 Darkness at noon was understood as Divine judgment; hence when this happened at Christ’s death, we are invited to understand His death as being the judgment of this world (Jn. 12:31). To come before Christ on the cross is to come before our judgment; hence the connection between self-examination at the breaking of bread and at the last day. There are also links between Job and Deuteronomy 28, as if Job was the personification of Israel suffering for their sins (see on 3:23). Yet he was personally spotless to God (1:1,2). Thus he was a type of Christ, who although personally sinless was totally identified with sinful humanity. Suffering darkness at noon and groping in the daytime as in the night = Dt. 28:29; Job’s fits of blindness (22:10,11) = Dt. 29:29; boils from head to foot (2:7) = Dt. 28:35; made an astonishment (= Dt. 28:37) and a byword (17:6; 30:9) = Dt. 28:37; wishing for night in the morning and for the morning at night (7:4) = Dt. 28:67; Job’s of children and cattle = Dt. 28:41,51. 6:3 Therefore have my words been rash- Job excuses himself by saying that his rash words were an inevitable result of the situational pressure upon him; he likens himself to a donkey who inevitably neighs when there is no grass (:5). Yet seeing the situations came from God, this was effectively blaming God for his failure. We must recognize that sin isn’t inevitable. We can only blame ourselves, not the situations which we have caved in to. 6:25,26 Job seems to be saying that there is nothing tangible for him to be reproved over apart from some rash words (:3). Thus he minimizes poor speaking; whereas Christ taught that by our words we are justified or condemned, so important are they (Mt. 12:37). 7:17 That You should set Your mind on him- The Hebrew for ‘to set the mind on’ is also translated “consider” in 2:3, where God asks the ‘satan’ whether he has “considered My servant Job..?”. Thus Job sees God as considering him, whilst we are told earlier that satan / the adversary was told to do this. Thus whoever the ‘satan’ or adversary figure was, Job saw this being as ultimately representing God. 7:18 Test him every moment- God’s level of involvement in our lives is amazing, considering His greatness and our smallness. 7:20,21 Job makes several wrong statements here. In his depression, he wonders why God should be so worried about sin, seeing He is so great. But this is exactly the point- God despite His greatness is so highly sensitive to human behaviour. Job takes comfort in his idea that death will as it were hide him from God (:21), and as he doesn’t want to live for ever (:16), therefore, Job thinks, he will not. But he totally underestimated God’s grace, His desire for us, and to live eternally with us. These things were said by Job in depression and in the grip of suicidal desires (:15); yet at the end, God doesn’t rebuke Job but rather justifies him (42:7). This shows the extent to which God does accept depression as a state which leads to a person saying things which aren’t reflective of the real person, the one whom God sees, loves and judges. It also reflects the extent of the righteousness which God imputes to those He loves. 8:6 If you were pure and upright- The words of the friends suggest that their view was in fact that of the satan in the prologue; a case can be made that they are in fact the ‘satan’ / adversary figure. Satan quibbled with God's pronunciation of Job as perfect and upright (1:8). And here Bildad likewise seems to allude to this when he comments that if Job were indeed pure and upright, then God would help him. 8:8-10 Bildad emphasizes the view of traditional wisdom; and one theme of Job is that traditionally accepted ideas about God are shown by His word and by actual experience to be wrong. Bildad insists that Job must have sinned because traditional wisdom taught that calamity is always the result of sin. We see here how wrong understandings lead to damaged personal relationships and tragic misjudgements in practice. 9:16 I wouldn’t believe that He listened to my voice- In times of depression, even clearly answered prayer fails to spiritually register with us. And the ending of the book of Job shows that God in His grace understands that. 9:24 The G.N.B. puts it: “If God didn’t do it, who did?”. This is a key verse in understanding the book of Job. After all the theories of ‘Who’s responsible for all this evil in Job’s life?’, Job concludes that the source simply has to be God- and not anyone else. If He truly is all powerful, then who else could ultimately be responsible? Job states that “the cohorts of Rahab [a Canaanite ‘Satan’ figure] shall stoop under [God]” (:13), clearly alluding to the helpers of Tiamat in the Babylonian myth. “God alone stretches out the heavens, and treads on the back of Yam”- the sea, or sea-monster (:8). Job believed that it was God who was seeking to swallow him up in death (10:8)- surely alluding to how Mot, the god of death, was thought to have jaws encompassing the earth and swallowing up people at their death into the underworld. But Job rejected that myth- he saw God as the swallower, and death as a return to the dust, albeit in hope of bodily resurrection at the last day (19:25-27). 9:28 I know that You- Note the change of pronoun. As Job talks about God as “He” in replying to Bildad, he moves on to address himself directly to God (see too 16:5-7). Dialogue with others about our faith and turmoils often leads to our direct approach to Him in a way which would never have happened if we’d not bothered to have that dialogue but stored all these things up internally. 9:32 Come together in judgment- The prologue opens with the court of Heaven. The ‘Satan’ figure is not in itself evil, but could refer to an Angel [a 'good' one, as there are no 'sinful' Angels], or an Angel representative of a fellow worshipper on earth. The debates in Heaven between the Angels are reflected and carried out on earth- rather like how in Daniel 1-6 we have events on earth described in historical terms, and then we are given an insight into what's been going on in Heaven in Daniel 7-12. Yet the court / legal language continues throughout the book- e.g. Job is “perfect”, i.e. legally blameless. Job appeals for ‘witnesses’ (:33-35; 16:18-22; 19:20-27), an advocate in Heaven (:33), denies his guilt and demands a legal list of his sins (13:19), wishes for God to come to trial (:3), and thus Job is described as a man who has taken out a ‘case’ with God (23:4; 40:2). Job 29-31 is effectively Job’s declaration of legal innocence and an appeal to God to hear his case more sympathetically (31:35). God pronounces a final legal verdict at the end (42:7). It’s as if the whole experience of Job was [at least partly] in order to test out the Canaanite theories of ‘Satan’, suffering and evil in the court of Heaven. The friends represent the traditional views of evil, and often make reference to the myths of their day about ‘Satan’ figures. They speak as if they are the final court- Eliphaz speaks of how the judges and elders of their day, the “holy ones”, had concluded Job was guilty, and that they, the friends, were right: “To which of the holy ones will you appeal [legal language]?... we have [legally] examined this, and it [Job’s guilt] is true” (5:1,27). This is of great comfort to those who feel misjudged by man- above them in Heaven the ultimate Heavenly court is considering our case, and that is all that matters. Job perhaps perceived this, even though the vision of the court of Heaven in chapters 1 and 2 was presumably unknown to him as he endured his sufferings; for in response to the friends’ wrong judgment of him, he comments that “God covers the faces of the judges of the earth” (Job 9:24). The final summing up speeches from both God and Job simply emphasize the omnipotence of God; how ultimately He has been the adversary to Job, and there is no room in the cosmos of His creation for any other power, especially any of the various personal ‘Satan’ figures believed in by the worlds of both Canaan and Babylon. The heavenly court of "sons of God" is paralleled with all the stars in 38:7. Bear in mind that the stars were understood as pagan deities. The whole pagan understanding of the cosmos is being deconstructed. The stars are paralleled with the Angelic sons of God who are all totally under God's control; they are His Heavenly court. 9:33 There is no umpire between us- Job’s sufferings and mental torments led him to perceive the need for a mediator; he was led through it all to understand his need for Christ. And our experiences are designed the same way. See on 10:4. 10:4 See on 9:33. Job through his sufferings came to so wish that God could fully appreciate things from a human perspective. Unknown to him at the time, Job was coming to long for the real, Biblical Christ- a man of our nature yet God’s Son, our representative who could empathize with us and reveal the human face of God. 10:9 Will You bring me into dust again- Job had no belief in an ‘immortal soul’; he believed the Biblical position, that we are made from dust and will return to dust again, with no inherent immortality. This is alluding to Gen.3:19- the curse upon sinful Adam that he would return to the dust. Job seems to be admitting that he is like Adam in that it appeared God was going to end his life as a result of his sin- return him to the dust. But he reasons that this is unfair, seeing he has not sinned (10:7,14,15). Thus he oscillates between saying he has sinned and is like Adam, and then claiming that although he is being treated like Adam this is unfair. Similarly Job complains "He bruises me...without cause" (9:17); the same word translated "bruise" in Gen.3:15, thus implying that he is receiving the result of the punishment in Eden for no reason. 27:2-4 also alludes to the record of God's creation of Adam in Gen.2:7. In 31:33 Job denies that he is like Adam in that unlike him, he has no sin to hide: "If I covered my transgressions as Adam, by hiding mine iniquity...". And yet like Adam he was humiliated by God's questioning at the end of the book. See on 13:20-22; 14:20. We too oscillate between accepting our sinfulness and yet considering our judgment for it as unfair. We are all brought like Job to the crushing and total acceptance of it in the end. 10:16 Again You show Yourself wonderful to me- Job felt as we sometimes do that one moment God is tender and gracious, but the next almost violent and rough with us. But this is only because we fail to perceive the full picture of God. 10:21 I go where I shall not return from- Job’s faith in resurrection and ultimate salvation oscillated; for in 19:25-27 he is very clear about it. It could be, however, that Job was forced to a belief in resurrection, judgment and reward at the last day by his sustained reflection on the fact that he as a basically good man was so suffering, the wicked were prospering, and yet God is a God who [for all Job’s doubts of the moment] must ultimately reward the righteous and the wicked. 11:10 If He... convenes a court... who can oppose Him?- Job disagreed. He felt as did Moses and others that we can enter dialogue with God, disagree with Him, ask Him to change His mind. Zophar is reasoning from the perspective that all we can do is to submit to God, in an almost Islamic sense. Yet God thirsts for relationship with us; and therefore we can reason with God, even in the court of Heaven. 12:3 I am not inferior to you- Job repeats this in 13:2. Job refused to take false guilt, nor to feel himself inferior to those who accused him of sinning and who insisted he take their advice and adopt their perspectives. He realized that those who were trying to push him down beneath them were mere men like him. We too at times have to consciously refuse to be psychologically pushed down beneath others. 13:15 Even if He slays me, still I will trust in Him- The language of 'slaying' takes us back to the Mosaic commands about how a 'slayer' of a man might be killed by the 'avenger of blood' (Dt. 19:6). Job saw God as slaying him; yet he also sees God as the 'witness' in the case (16:19), and the avenger of Job's blood (19:25). Job even asks God to not let the earth cover his blood, so that God as the avenger of Job's blood may avenge Job's death (16:18). Job does not see 'Satan' as his slayer, and God as the avenger of his blood. Instead Job- in a quite breathtaking set of associations- sees God in all these things: the slayer, the legal witness to the slayer, the avenger of blood, and the One who will enforce the doing of justice in this case, the One who will not let the earth cover Job's blood. If Job really believed in a superhuman Satan, in Satan as the bad guy and God as the avenger of the injustice, he surely would've expressed himself differently. As Job imagines God as it were taking vengeance on Himself, so he came to portray for all time the way that evil and good are indeed both ultimately from God. 13:20-22 This alludes to the fall of Adam in Eden. Job was recognizing that he had sinned, that he knew that the sense of spiritual limbo he was in paralleled Adam's hiding from God in Eden, but that he would only respond to God's call and come out of hiding to confess his sin as he knew God wanted him to, if God withdrew His hand- i.e. relieved him of the immediate trials he was then experiencing. Thus Job was trying to barter with God- wanting Him to withdraw the trials in return for Job making the confession which he knew God wanted. See on 10:9; 14:20. In various but differing ways, we all madly struggle against the call to totally repent; whether by pure stubbornness, misinterpreting Scripture, or whatever twisted logic and sophistry. One lesson of the book of Job is the way God seeks to bring us to total and utter repentance. 13:27 The mark on him that was a witness wherever he went echoes that which God put on Cain. God's preservation of Cain from death also finds a parallel in Job's feeling that God is preserving him unnaturally (3:21-23; 10:9-15). As with the similarities with Adam (see on 10:9), Job complains that although he is associated with Cain, this is not really fair. "You set a mark on the soles of my feet" because, Job complains, God observes him with unnecessary detail. Zophar possibly recognized that Job was like Cain in that his face had fallen and he was so angry, although also fearful of God (Gen.4:5); he said that if Job repented he would lift up his face and not fear" (11:15). See on 16:17,18. As noted on 13:20-22, all feelings we have that our suffering is unfair is all part of our stubborn refusal to face the enormity and just consequences of our sin. 14:4 Who can bring a clean thing out of an unclean?- Job seems to be justifying his sins by arguing that sin is inevitable because of our nature. This is just a theological form of the stubborn refusal to face up to our sinfulness as noted on 13:20-22. The Lord Jesus had our nature and yet didn’t sin; all that we say about human nature we say about Him. We aren’t inevitable sinners, victims of a human nature which wasn’t our fault as it were. See on 15:14,15. 14:12 So man lies down and doesn’t rise- Job’s faith in and desire for a future resurrection develops throughout the book; in 19:25-27 he is very clear about it and his earnest longing for it. 14:20 The reference to change and sending away refers to Adam being sent out of Eden, or also to Cain's countenance falling and then being sent away from God. Yet in :15 Job is alluding to God’s calling to Adam in the garden; and Job is full of reasons which he will give God of his own rightness and innocence. So at this stage, Job is torn between recognizing his sinfulness and yet justifying it, perhaps only seeing it in terms of being a victim of the consequences of Adam’s sin in Eden. As the book progresses, he is brought to the total acceptance of personal sinfulness and the justness of Divine punishment which God seeks to bring us all to. 15:6 These words are alluded to by Jesus when He taught that our words will be the basis of our condemnation or acceptance (Mt. 12:37). He also picks up this verse in His words to the one-talent man in the parable: "Out of your own mouth will I judge you" (Lk. 19:22). The only ones to be rejected at the last day are those whose words in this life have asked for it. Our words will as it were be quoted back to us in that day. This is how important they are. 15:14,15 Eliphaz’s view of both human beings and Angels was wrong. We aren’t inevitable sinners just because of our nature; it’s no sin to be human, to be alive, and the wrath of God isn’t kindled upon every baby who is conceived and born just because they are humans. See on 14:4. God perhaps answers the wrong idea that Angels sin by commenting that all of them rejoiced in His creation (38:7). 15:21 Eliphaz says that Job's sudden problems amid his prosperity were what would happen to all the wicked. This seems to be alluded to in 1 Thess.5:3 concerning the sudden destruction of rich, spiritually self confident ‘believers’ at Christ’s return. 15:35 They conceive mischief, and bring forth iniquity. Their heart prepares deceit- Sin is often described as being conceived within the human heart (Acts 5:4; James 1:13-15). Sin is totally our fault; it proceeds out of the human heart (Mk. 7:15-23), not because of any cosmic ‘Satan’ being making us sin. 16:9 My adversary sharpens His eyes on me- The Hebrew word satan means ‘adversary’. Although a different Hebrew word is used here, Job clearly saw God as his adversary and not any wicked cosmic being. 16:9-14 It was so hard for Job to accept that God and not any orthodox ‘Satan’ figure was his adversary. It’s one thing to deduce from the Bible that both good and disaster comes from the Lord, as taught in Is. 45:5-7. It’s of course quite another to accept it in real life, and Job is an inspiring example. The poetry here speaks of Job’s awesome and even angry realization that God is in fact [in a sense] his enemy / adversary. See on 19:26. 16:17,18 Here Job associates himself with unfairly persecuted Abel; he likens his cry for justice to the crying of Abel's blood from the ground in Gen.4:10. He is trying to justify his refusal to recognize that he, a relatively righteous man, was in fact a serious sinner. It’s perhaps easier for those the world considers sinners to come to repentance than it is for those whom the world considers ‘normal’ and even righteous. This includes many of us; hence the biting relevance of Job to us. See on 13:20-22. 17:9 Shall grow stronger and stronger- There is an upward spiral in spiritual life, and also a downward spiral, in which, e.g., God hides correct understanding from people (:4) in response to their not really wanting it. Thus He can even delude people to believe lies (2 Thess. 2:11). 18:14 The king of terrors- Bildad blamed Job’s calamity upon pagan versions of the ‘Satan’ myth such as this supposed king, and the “firstborn of death” (:13). One intention of the book of Job is to deconstruct these ideas and to present God as the ultimate source of both good and disaster. 18:19 Bildad throughout this chapter is alluding to Job’s loss of his home and family, and is certain that the next step is for Job himself to die without descendants- because, he assumes, Job has sinned. The restoration of Job’s health and the gift of a new family at the end of the book proves Bildad so wrong. We need to learn the lesson not to assume things about others’ relationship with God nor about the meaning of events in their lives. 19:2 Crush me with words- We should never assume that words are harmless. One lesson from the book of Job, as we see his mental agony progressing throughout his responses to the friends, is that words do indeed crush and hurt; they are often remembered for years after they have been spoken or written. God’s law is unique amongst legal codes for criminalizing words and thoughts as much as actions. 19:4 My error remains with myself- A very true observation. It’s often the case that when someone sins against one individual, others, or indeed a whole congregation, consider that the sin has been against them and that they somehow are called to forgive the sin and in demanding repentance towards them. By doing so they are making the same mistake as the friends. We are to forgive sin against ourselves, and not take upon ourselves other sins as if they were against us personally. 19:8 Num. 22:22 describes how an Angel of God stood in a narrow, walled path before Balaam, so that his donkey fell down beneath him. That Angel is described as a "satan", an adversary, to Balaam. Job comments how the sufferings which the 'satan' brought upon him were God 'walling up my way that I cannot pass'. The connection is clear- and may indicate that Job's satan was a satan-Angel, acting on God’s behalf as an adversary to Job just as such an Angel did to Balaam. Job and Balaam have certain similarities- both were prophets (in Job's case see 4:4; 23:12; 29:4 cp. 15:8; Amos 3:7; James 5:10,11); both had genuine difficulty in understanding God's ways, but they to varying degrees consciously rebelled against what they did understand; both thus became angry with God, and were reproved by God through being brought to consider the Angel-controlled natural creation. Job should’ve learnt from Balaam- or vice versa- that God’s walling us in is because He wants us to go His way, and we shouldn’t try to force our way passed Him. 19:21 The hand of God has touched me- God put Job into the hand of the ‘satan’ (1:12). Job saw the satan as basically God in action, not as a cosmic being outside of God’s control and not performing His bidding. 19:26 In 2:4-6 we have the ‘Satan’ commenting that Job’s flesh and skin need to be harmed; but here we have Job stating his faith that even though God destroys his flesh and skin, yet God shall ultimately save him. 19:27 The light at the end of our tunnel is that we will personally see God, with our own eyes we will behold Him, and not through anyone else’s eyes (see too Is. 33:17). Job understood God as a personal being. 20:19 Job denies doing these things; if he had, it’s unlikely that God would describe his earlier life in such positive terms (1:2). Zophar was once Job’s friend, but he now speaks with a seething anger against him and claims all kind of false things against Job- which as his “friend” he surely knew weren’t true. This radical change was related to Zophar’s false understanding that suffering always comes as a result of sin. He became convinced Job was a sinner, and when he couldn’t prove that, he simply fabricated things in his mind and then became persuaded they were true. If Zophar had to admit that Job was righteous, then he would have to revise his view of suffering; admit he had been wrong; and be prepared to accept that suffering may strike him too, despite his own apparent righteousness. And it would seem that his jealousy at Job’s wealth was then vented out. He felt that if Job was a sinner, then he could treat him in a less than human way. Fear of revising ones’ own understandings, admission of being wrong forced upon people by others’ experiences, dashed expectations and false assumptions can lead to this kind of seething hatred and false accusation, and is the root of much relationship breakdown today. 21:4 Why shouldn’t I be impatient?- Job falls into the trap of justifying poor behaviour because of the extremity of the circumstances. Eventually he is led to the final climax of chapter 42, where he stops making excuses, blaming his nature, his situation and the machinations of others- and accepts his sinfulness in toto. It was so hard for him to do this because relatively speaking he was righteous. But spiritually middle class believers who keep their noses clean publically and avoid major personal scandals have got to all the same radically repent; and this is the pointed relevance of Job to so many believers today. 21:7 In 9:21 and by implication in other places, Job effectively says that there is no point in serving God or striving for obedience to God. This is what the priests of Israel later said at the time of the restoration from exile (Mal. 3:14). Malachi is alluding to Job’s words here and in 9:21. Note that Elihu also claimed that Job had said that serving God was of no profit (34:9). Job has much relevance to the returning exiles- see on 3:23. Job was ignoring the very fine sensitivity of God to human behaviour; the fact He is so high and we are so morally low doesn’t mean that our behaviour is irrelevant. Job’s problem was a refusal to repent, and he is here making the excuse that God’s insensitivity to sin meant he didn’t have to repent. We must learn the lesson- God’s sensitivity to sin is the very reason we should repent of it. 22:3 Is it any pleasure to the Almighty, that you are righteous?- See on 21:7. 22:6 You have taken pledges from your brother for nothing, and stripped the naked- This was absolutely not the case. But Eliphaz was so convinced that suffering comes as a result of sin that he concluded Job must have sinned and therefore imagined these things until he became convinced Job had done them. People who start imagining false things about others because of gut feelings about them end up genuinely believing those things are true. It all arises from an inability to accept we may be wrong in our worldview and therefore in our judgment of others. 22:13 You say, ‘What does God know?’- The fact God sees and knows all things leads us to right behaviour. Eliphaz here is reasoning that because Job refused to accept that sin and suffering were related in his case, therefore this implied something about Job’s view of God. We must be careful of extrapolating like this- if you believe X then you believe Y about God which means you think God is Z. Such false logic leads to a perilous path of reasoning which results in the breakdown of relationships, slander, misrepresentation and judgmentalism which in itself is so wrong before God. If Eliphaz had left judgment to God and focused instead upon practically helping Job, he wouldn’t have slid into this path of false logic. 22:22 Please receive instruction from His mouth- Eliphaz is playing God here. What he means is, ‘Please receive instruction from me’; he assumes too quickly that his views are God’s. If we accept the Bible as God’s word, then our own intuitions and life wisdom must be seen by us as just that- and not God’s word. The very specific existence of God’s word means quite simply that our word isn’t His. 23:10 When He has tried me, I shall come forth like gold- The allusion may be to a refiner of gold who heats the gold until the dross is purged and becomes so pure that he sees his own face reflected in the molten gold. This is what the heat of trial is intended to achieve in our lives. Job perceived God and not any evil ‘satan’ being as responsible for his trials, and he realized even in his depression that they had a purpose- to bring forth God’s likeness in him. 23:12 The words of His mouth more than my necessary food- As eating is a regular necessity which we automatically find time for, so our feeding upon God’s word each day should likewise be regular and natural. In our generation, it ought to be that we can’t easily lay our head down each night unless we have read or heard His word some time during the day. 23:15 I am terrified at His presence- Job’s speeches are full of contradictions. He feels he is in God’s presence, right before His judgment seat; but at other times he feels he’s desperately searching for God and trying to get an audience, but God is being elusive (:8,9). These oscillations in perception of God are part of depression and the bi-polar problems Job was obviously experiencing; hence he one moment eagerly looks ahead to the resurrection, at others he denies a resurrection can happen, or says he doesn’t want to participate in it. Through it all, God loved and accepted him, so that at the end of the book He commends Job (42:7). In spiritual terms, we’re all bi-polar. If we rejoice in God’s gracious acceptance of us and His focus upon our better side, we urgently need to have this attitude to our brethren, whose weaker side is often right in our face. 24:1 Whilst God may work according to time periods, those periods aren’t known by man. We don’t know how long we nor anyone else shall live, nor the exact date of Christ’s return. Any study of prophetic ‘time periods’ should bear this in mind; that God wishes us to live as it were in an eternal now, not pacing ourselves according to our expectations of time, but fully devoted to Him each moment. 24:2 Job in this chapter labours the point that the wicked prosper in this life, and yet because sin is significant to God, Job concluded that death is the punishment for their sin. This is stated explicitly in the New Testament (Rom. 6:23). We shouldn’t miss the significance of death; it is in the end the answer as to why the wicked appear to prosper in this life. Again, by implication and inference, Job is driven towards hope in a resurrection from the dead and a recompense in this earth as the result of living righteously before God. 25:4 The argument here presented is that because God is so great, man can never be right with Him. Job who had lived a good life and been declared as righteous by God must therefore have been driven to wonder how he could be right with God when he was a sinner, whilst also accepting God’s supreme moral height and the depth of human failure to be like Him. The answer he was surely driven to is that God would have to impute His very own righteousness to man. And this is what He does to those reckoned as “in” Christ. Again we see how the sufferings of Job’s life and his struggle to understand them led him by inference to the essence of the Christian Gospel, even if it wasn’t specifically revealed to him in so many words. For the Gospel of imputed righteousness in Christ had in essence been preached to Abraham (Rom. 4:9; Gal. 3:8). 26:6 Job is alluding to the myths about the supposed ‘satan’ figure Mot having the underworld open before him and pushing into it whoever he wishes. When he speaks of how "Sheol is naked before God, and Abaddon has no covering" he is saying that God and not Mot has this power; and in that context speaks as if God is the real attacker, not, therefore, Mot or any other such being. Num. 16:31-35 likewise describes God as swallowing up Korah, Dathan and Abiram into death in the earth- as if to deconstruct the idea that Mot did things like this. 26:10 Job understands that it is God who sends the good and evil, the light and the darkness, into his life (30:26). Significantly, he states his faith that God even marks out the boundary between light and darkness- a similar idea in essence to the reassurance of Is. 45:5 that God creates both light and darkness. The 'darkness', however we experience and understand it, is framed and limited by God; it is not a power or being with independent existence outside the realm of God's power. God confirms Job's understanding later, when He says that it is He who can swaddle the sea [another figure for uncontrollable evil in pagan thought] in bands of darkness (38:9)- as if to say that it is God who gives things like darkness and the sea their sinister appearance and perception by men; but He is in control of them, using them in His hand. Job's idea that God fixes limits for the darkness is repeated by God saying that He sets limits for the raging sea (38:10). God controls evil, or human perception of it (e.g. of the sea as being evil), and He sets limits for it- which was exactly what He did to the power of 'Satan' in the prologue to Job. All these statements by God about His use of and power over things like darkness and sea, which were perceived as being independent forces of evil, are quite different to Canaanite and Babylonian worldviews. In them, gods like Baal had to fight Yam, the evil sea god, with clubs provided by other deities; in the Babylonian version, Marduk has to arm himself with various weapons in order to try to get supremacy over Tiamat. But Yahweh as revealed in the book of Job has utter and absolute power over the sea [monster] and the [supposed god of] darkness- for He created the sea and the darkness and uses them creatively for His purpose. That's the whole purpose of the many 'nature passages' in the book of Job. 26:11-14 Job understood God to be in control in Heaven; he rejects the idea of a cosmic conflict going on ‘up there’ which the friends seem to allude to. More specifically, Job speaks here of how God’s hand forms and can pierce the “crooked serpent” and smite any monster. It’s as if Job is mocking the idea that God has let him go into the hands of the cosmic monsters which the friends believed in. For Job so often stresses that it is the "hand of God" which has brought His affliction (19:21; 23:2). That Divine hand was far greater than any mythical 'Satan' figure. The theme of his speech in Job 28 is that Yahweh alone is to be feared throughout the entire cosmos. Nobody else- such as the ‘Satan’ figures alluded to by the friends- needed to be feared. 26:13 His Spirit... His hand- The Spirit of God isn’t a person nor any part of a supposed ‘Trinity’- a word which never occurs in the Bible. It refers as here to His ‘hand’, His power in practical operation. 26:14 How small a whisper do we hear of Him!- We must ever bear this in mind when speaking of ‘the truth’ and the need for correct Biblical interpretation. When in difference with other believers about Biblical interpretation, we must remember that we ourselves only know a fraction of God’s truth. We mustn’t assume that because we know the Gospel and have responded to it, therefore we know all the truth there is to know. We know just a whisper about the final fullness of God. 27:14 Job comments that if the children of the wicked "are multiplied, it is for the sword". Seeing his own children had been destroyed, Job presumably was accepting that he was among the "wicked", as he does elsewhere (e.g. 9:2). Hos. 9:13,16 repeats such language regarding the punishment of sinful Israel: "Ephraim shall bring forth his children to the murderer". Dt. 28:41 has the same idea. Job was a symbol of the suffering servant, Israel, struggling in Babylon to come to terms with their sinfulness and the rightness of God’s judgments against them (see on 3:23). On a personal level, Job is here moving closer to the final total acceptance of sinfulness and personal guilt which brings his sufferings to a close in chapter 42. 28:28 This verse is the crunch line of this chapter’s lengthy description of how wisdom cannot be found in any specific location or hidden part of the planet. The very length of the preamble is only to build up to the colossal significance of this verse: that wisdom isn’t located anywhere, it is experienced in the life of the person who fears God and departs from evil. Especially in the age of over information in which we live, the idea is strongly felt in us all that wisdom is a set of facts, theological propositions, pithy sayings, located with somebody, in the care of some group of people, in some book. But the point is that wisdom isn’t theoretical nor abstract, but intensely practical. We would all far rather make an academic study of something ‘spiritual’ than in practice root out evil from our lives; in this lies the attraction of intellectualizing spirituality. But wisdom as defined here is in experience; hence Job realizes that before his sufferings, he had only heard of God in the ear, but through practical experience he had as it were seen Him (42:5). 29:12 I delivered the poor who cried- False allegation leads us to self defence, and Job seems to fall into the trap of being so self-defensive, listing his good works in such detail, that he forgets his own sinfulness. False accusation, refusal to accept false guilt, not being understood and being rejected by others mustn’t lead us to forget our real and actual sins. In the bigger picture, God used the false accusations to try to make Job take a serious inward look at his life in order to try to bring him to total repentance for what he actually had done wrong. But it seems Job didn’t respond, he got caught up on the level of answering the false accusations and didn’t allow the process of self-examination to go any further as God intended. 29:13 Job's words of 30:1 certainly smack of arrogance: "Whose fathers I would have disdained to put with my sheep dogs". This would mean that his merciful acts to the poor were done in a 'charitable' spirit, thinking that such public acts declared him outwardly righteous; he thought that his charity towards the widow were thereby his righteousness, a clothing and diadem of glory and beauty. This has clear reference to the clothing of the Mosaic High Priest with his outward show of righteousness. God was trying to lead Job beyond this to a trust in the righteousness which God imputes and which isn’t our own- see on 25:4. There are times when he realizes this, but the need he felt to clear himself before the friends led him to overlook it; it took God’s final intervention to bring him to throw himself totally upon God’s righteousness and not his own. 29:16 The cause of him who I didn’t know, I searched out- Our goodness to others shouldn’t be merely a positive response to their requests; rather should we like God think and plan how we can show grace to others, and therefore ‘search out’ their situations and how we could be kind and gracious to them. 30:19 I have become like dust and ashes- But we are by nature “dust and ashes”. Job came to realize his own humanity through his sufferings; God often teaches us those basic truths again and again because we like to see ourselves as more than we really are. 30:21 Job recognized that his trials came from the hand of God, but knew that His hand would not kill him (:24). This was exactly the brief given to ‘satan’ in the prologue- God put Job into Satan’s ‘hand’ in order to try Job, but commanded ‘satan’: "preserve his life". Again we see that God was effectively the satan or adversary to Job. In similar vein God (in the Angel of the presence) "was turned to be (Israel's) enemy" because of their sin (Is. 63:10). Job complains that God through the satan-Angel has "turned to be cruel to me". 30:26 When I looked for good, then evil came; when I waited for light, there came darkness- Job is learning, slowly. He had previously thought that only good would come because of his righteousness. He even expected blessing from God; he believed as do many today who have swallowed the prosperity Gospel. But he learnt otherwise; and he learnt the truth which God tried to teach Judah in captivity, that good and evil, light and darkness, all come from God (Is. 45:5-7); see on 3:23. 31:4 Doesn’t He see my ways, and number all my steps?- Job dismissed as monstrous the idea that he had committed adultery or even looked lustfully upon a woman because God sees and knows all things. We cannot passively accept that fact; it will mean that sexual sin, which for the most part is committed in ‘secret’, cannot be a serious option for us because nothing in our lives is secret before God. 31:34 Because I feared the great multitude- It’s so often the fear of losing face and image, the fear of the multitude, which stops us from confessing sin. But seeing that all will be open to all our brethren eternally, we should have no need to be hypocritical in this life. God glories to forgive us, so we should have the same openness and zeal in repentance. 31:38 If my land cries out against me- Job was sensitive to the natural creation, even to his land, in the way he farmed it. 32:18 It’s unclear whether Elihu refers to his own spirit, or the fact that he was inspired to speak by God’s Spirit, and therefore like Jeremiah (Jer. 6:11) was weary at trying not to speak forth the words he was inspired to speak. If we accept Elihu as speaking on God’s behalf, as the mediator which Job so begged for, then we have to take a somewhat negative view of Job- in that Elihu is critical of Job and accuses him of arrogant self-righteousness. Note that in God’s final summing up, the friends and Job are criticized, but He says nothing against Elihu. In this case, God’s final commendation of Job in 42:7 would be strictly within the context of Job’s repentance. However, whilst Elihu often speaks in harmony with God’s direct words later in the book, he remains somewhat enigmatic; for his fierce criticism of Job, mixed with what appears to be youthful arrogance and dogmatism, is hard to fully square with God’s opening and closing statement that Job was spotless in His sight. Perhaps God didn’t want to have to personally intervene in revealing Job’s sinfulness to him; He always seeks to work through people rather than by direct intervention. And so perhaps God sent this arrogant young man to Job as a final attempt to appeal to him. 33:13 All refusal to repent is a striving against God in that He is constantly working in our lives to bring us to repentance. 33:27 Job's decision to say "I have sinned...and it didn’t profit me" connects with the prodigal son (Lk. 15:21), thus again associating Job with the Jews in their suffering, repentance and final return to God from exile in the Gentile world; see on 3:23. 34:8 Goes in company with the workers of iniquity, and walks with wicked men- This wasn’t true of Job. Elihu may however be sarcastically referring to the three friends of Job as “wicked men”. 34:14 If He set His heart on Himself- If God were selfish, He wouldn’t have created nor maintain the world. We therefore see God’s unselfishness and outgiving grace every microsecond of our existence. If He gathered to Himself His spirit and His breath- The Spirit of God is His breath, His power by which He sustains all creation. It isn’t a person, as the false doctrine of the Trinity supposes; although at times His Spirit, His power, can be personified as many abstract things are. 34:23 The day of judgment is therefore not in order for God to acquire knowledge or facts about us; He knows that already. The process of judgment day will be for our benefit. For if Christ came and we immediately entered the Kingdom without that necessary process, we would have so little appreciation of His grace nor of each other nor of ourselves. The purpose of judgment, even when it is received in part in this life as in Job’s case, is to teach us, rather than provide God with information. 36:15 He opens their ear in oppression- Our sensitivity to and understanding of God’s word is heightened during times of trial. Sadly we are such empirical learners that we have to suffer many things to make us open our ear to His word; and we needn’t suffer them if we accepted with full meaning the simple foundation truth that the Bible is indeed God’s word speaking to us. The wonder of the very existence of God’s inspired word ought to of itself make us open our ears in sensitivity to it. But because we fail to believe it as we ought to in practice, we are sent tribulation to make us sensitive to it. 36:30,31 He covers the bottom of the sea. For by these He judges the people- The sea was seen by ancient peoples as the abode of ‘satan’ type gods of evil. God is showing that He is in full control of the sea, and any beings there which people might imagine would be in any case under His total control and not hidden from Him. 36:33 The storm that comes up- A thunderstorm was brewing as Elihu spoke. Lightning and thunderstorms were seen as the wrath of supposed gods of evil, who were similar to the ‘satan’ being many believe in today. The point of the thunderstorm was to demonstrate that it was God in control, it was from Him, and not from the ‘satan’ entities people generally believed in at that time. See on 37:2,15. 37:2 Hear the noise of His voice- See on 36:33. The crash of the thunder in the storm which came down upon them wasn’t the voice of any radically independent god of evil, but God’s voice. 37:7 He seals up the hand of every man, that all men whom He has made may know it- Our hand or power is often limited by God through weakness, illness, dysfunction of ourselves or others, so that we may know the strength of His hand and power. 37:15 Do you know how God controls them, and causes the lightning- See on 36:33; the natural creation isn’t just ticking on clockwork, God is actively in control of it all. We are therefore never far from evidence of God’s active, passionate awareness and power. All the sons of God shouted for joy- Note that all the Angels are obedient to God and on His side as it were. Angels don’t sin (Lk. 20:35,36 cp. Rom. 6:23). 38:8-11 Who shut up the sea with doors, when it broke forth from the womb- The supposed sea gods of evil (see on 36:30,31) were under God’s control and limitation even if they existed, just as He specified and limited the power of ‘satan’ in the prologue. There are several allusions in Job to Babylonian legends concerning Marduk- indicating that the book may have been re-written in Babylon with allusion to these legends in order to deconstruct them. Thus the Enuma Elish 4.139,140 speaks of how Marduk limited the waters of Tiamat, and set up a bar and watchmen so that the waters wouldn't go further than he permitted. But this very language is applied to God here and in 7:12. One of the purposes of Job was to urge Judah that Yahweh was greater than Marduk, He and not Marduk was to be Israel's God. The sea was understood to be the abode of evil monsters. Yet Job stresses how God is in control of the raging sea. Just look out for all the references to the sea in Job. God artlessly claims to have created the sea. In the Canaanite pantheon, Baal was seen as well matched in conflict by Yam, the sea god. But it’s emphasized by God that He created the sea, shuts it up within bounds, brought it out from the womb. In Canaanite myth, Aquhat [another ‘Satan’ figure in their theology] could alone “count the months”- but the same phrase is used in 39:2 about how God alone has this power. As God ‘shut up’ Job (1:10 Heb. ), so He could ‘shut up’ the sea, with all the evil associated with it in peoples’ minds at the time (38:8). For at creation, He had commanded the waters where to go and they obeyed just one word from Him. God is using poetry to reframe these pagan myths in the context of His omnipotence, to show that His awesome power means that there’s no room left for these supposed beings to exist. Often the Bible speaks of the power of God over raging seas- for the sea was so deeply associated with evil in the minds of Semitic peoples (e.g. Ps. 77:19; 93:4 and the fact that three of the Gospels emphasize how Jesus walked over raging sea- Mt. 8:23-27; Mk. 4:36-41; Lk. 8:22-25). 38:29 Out of whose womb- One of many places where God likens Himself to a woman. 40:8 Will you condemn Me, that you may be justified?- God is as it were placed in the dock by our allegation that we have not sinned as He claims, and that our sufferings are unjustified. Paul plays on this idea throughout the legal language of Romans 1-8. 41:1 God almost jokes with Job, that he had been trying to draw out Leviathan with a fish hook; this is a commentary upon so many human attempts to get a handle on the way God is the adversary / satan figure in our lives. Shrugging it off as chance and bad luck, believing in a personal Satan in the sea or in Heaven, thinking God is punishing us... all this is trying to capture Leviathan with a mere fishing rod. The book of Job isn't an explanation for specific human suffering- and many who turn to the book looking for that come away disappointed. Rather is it an account of God's sovereign power, putting meaning into the word "All-mighty" when applied to God. On a 'doctrinal' level it is indeed a deconstruction of the ideas of supernatural 'Satan' figures. But on a more personal level, it challenges us to follow in Job's faithful footsteps, as it challenged Judah in captivity. The monster figures of Leviathan and Behemoth appear at the end of the book of Job, forming a kind of inclusio with the opening reference to Satan; and they are clearly part of God’s final answer to Job’s “case”. Behe-mot can be understood as a reference to Mot, the Canaanite god of death; and Leviathan appears to be the Canaanite version of the orthodox ‘Satan’ figure, perhaps a reference to the ‘Lotan’ of the Ugaritic myths. In great detail, these figures are deconstructed. They are shown to be created beings- created by the one almighty God of the Old Testament, to be completely under His control to the point that He can even tease them, so enormously greater is His power than theirs. These Canaanite ‘Satan’ figures are thereby shown to have no significant existence; and they certainly don’t exist as opposed to God. They are totally under His control. ‘Evil’ in a form independent of Him, in radical opposition to Him, simply isn’t there. It is He who not only created Behemoth, but can effortlessly control him in accord with His purpose (40:15). That’s the comfort of the message. Indeed the descriptions of the natural world which lead up to the Leviathan / Behemoth passages are there to underline this point; and it’s interesting that those passages zoom in upon the cruelties and even brutalities within nature. Yet these are all of God’s ultimate design and creation, and under His providential control. Job had earlier perceived this; for he responds to the friends’ allusions to an evil ‘Satan’ figure as the source of his suffering by observing: “Ask the animals... the birds of the air... [they show that] the hand of the Lord [and not any supernatural ‘Satan’] has done this” (12:7-9). The same Hebrew words are used about God’s binding and loosing of the stars [which were thought to control evil on earth] and His binding, loosing and opening of Leviathan’s mouth (38:31 cp. 40:29). Whether or not Leviathan / a ‘Satan’ figure, or the bad stars, are for real... God is in utter control of them, and there is thus no conflict, no war in Heaven, no ultimate dualism at all in the cosmos. Which is just the message we would expect from a monotheistic Old Testament book. Israel’s God is truly the Almighty. Just as Job is described as God’s “servant” (1:8), so is Leviathan (40:28; 41:4). No evil power uncontrolled by God is at work in Job’s life. We also need to give due weight to the fact that God speaks the Leviathan / Behemoth passages “out of the storm”, which had been gathering since 37:2. This is significant because storms were seen as manifestations of evil powers. Yet here (and elsewhere in Scripture), the one true God speaks out of such storms, to demonstrate how far greater He is than any storm god; and showing by implication that such storm gods don’t exist, and the ‘evil’ which supposedly came from them was in fact under His control. Much of the language used about Leviathan and Behemoth is also used about God's manifestation of Himself: Smoke from nostrils, flame from mouth (41:11,12) is said about God in Ps. 18:8; Strength before and dismay behind (Job 41:14) = Hab. 3:5; Strong ones and leaders cringe in fear (41:17 Heb.) = Ps. 18:7; Hab. 3:6; Deep sea stirred up (41:23,24 Heb.) = Ps. 18:5; terrible teeth = 16:9 about God; breath that carries men away = 15:30 about God; none his equal (41:33) = true about God. Leviathan is called the 'cruel one' (41:10)- and the very same word is used by Job about God in His afflicting Job in 30:21. Leviathan, the seemingly overbearing power of evil in the world, is in fact a manifestation of God to such an intense degree that effectively it 'is' God; God, ultimately, is the adversary / satan to Job. The epilogue and prologue to Job are evidently related. Job begins sitting in dust and ashes and ends repenting in dust and ashes (2:8; 42:4). 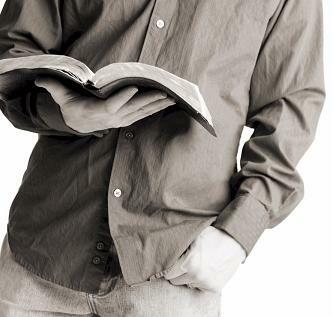 The silence of the friends at the opening of the book is matched by the silence after God has finally spoken (40:4). Job intercedes for his children (1:5) and ends up interceding for his friends. Job begins with the description of being the Lord's servant; and the book concludes on the same note (42:7,8). The question of course is: 'So what's the equivalent of the 'Satan' figure in the epilogue?'. The omission is intended and obvious. Ultimately the answer is the essence of the whole book: the 'satan', the adversary, is none other than God Himself, in His love. 41:3 Will he speak soft words to you- The emphasis is on you. The animals speak softly to God; He is in dialogue with them. All around us, God is in active communication. 42:2 Job came to realize the massive practical extent of what he had previously known in theory, what he had "by the hearing of the ear". Now his eye saw / perceived that truly no plan of God can be thwarted, by any of the various 'Satan' monsters imagined by men. We too may say that we believe in the omnipotence of God; but such a belief requires us to throw out all beliefs in supernatural satan figures. And that's not a merely intellectual exercise; to see the tragedies and cruelties of our lives as being ultimately from God and under His control is something which shakes us to the core. 42:5 My eye sees You- All the theory we may know about God must be transformed into personal relationship with God- and that is the purpose of the sufferings of our lives. 42:7 Although Job did not speak wrongly about God (see too 2:10) and kept patiently speaking the word of God despite the mockery it brought from the friends (James 5:10,11), this does not mean that Job or all that he said was blameless. The friends are not reprimanded for speaking wrongly about Job, but about God. Thus there was probably a fair degree of truth in their accusations concerning Job’s self righteousness. Elihu also severely rebukes him for this, and unlike the three friends he is not rebuked for anything in the final analysis by God in Job 42; not to mention the accusation of 'darkening counsel without knowledge' (38:2) by God Himself, backed up by four chapters of heavy reprimand of Job's reliance on human strength and wisdom. This led to Job retracting much of what he had said (40:4,5; 42:3-6). This clearly establishes that much of Job's reasoning was faulty, although what he spoke before God was correct. Therefore the final comment that God had spoken of God “the thing that is right” could refer to his final repentance. To repent is to admit that God is right; to refuse to repent is to effectively declare Him wrong. And all his wrong understanding and hard words about God were overlooked because of that. 42:15 Gave them an inheritance among their brothers- Job’s understanding of the value and meaning of the human person meant that he valued his daughters as much as his sons, and gave them equal inheritances- unusual, surely, for those days.